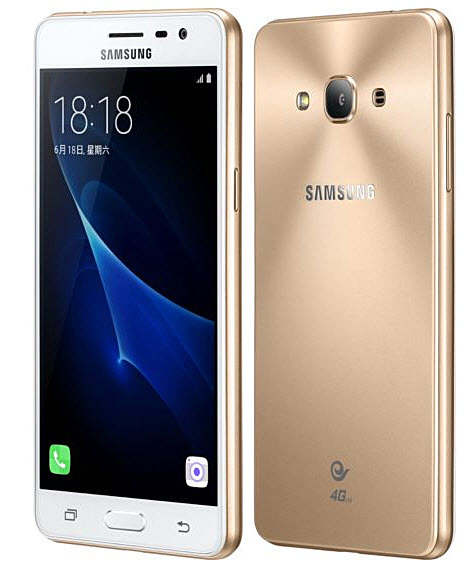 Samsung has introduced a new budget smartphone Samsung Galaxy J3 Pro, which will be offered at a price of about 150 dollars. For this money, buyers will get a device with a five-inch Super AMOLED display resolution of 1280 x 720 pixels, quad-core processor which is clocked at 1.2 GHz, 2 GB RAM and 16 GB of flash memory (microSD slot for memory cards provided). Dimensions Samsung Galaxy J3 Pro make up 142,2 x 71,3 x 8 mm with a weight of 139 g, it placed the battery capacity of 2600 mA • h. Users can use two SIM-cards, the device is equipped with a 4G modem and NFC module. camera resolution of 8 megapixels and 5.